Sphere Healthcare Pty Ltd is one of the 3 largest complementary healthcare manufacturers in the Australian market. 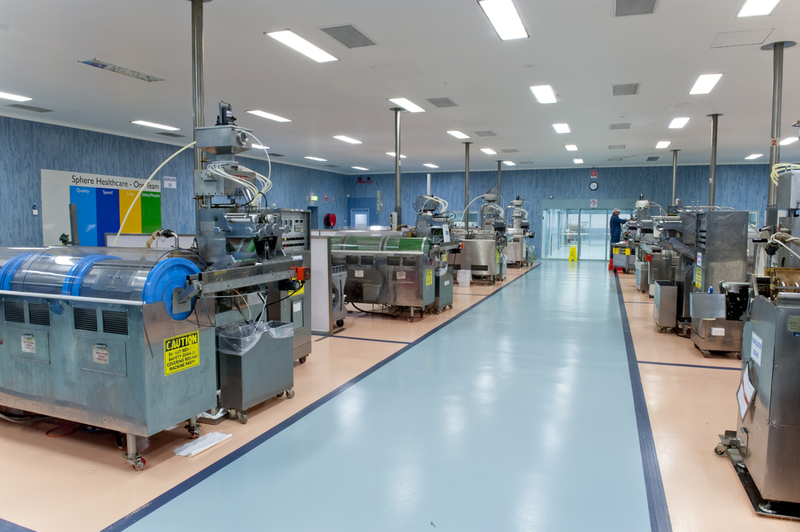 Sphere has the largest production capacity for soft gel products of any manufacturer, producing 650 million capsules per year with capacity to more than treble this output and is fully licensed by the Therapeutic Goods Administration to manufacture Complementary Healthcare Products. Sphere is located in Moorebank a suburb of Sydney located 27 kilometres south-west of the Sydney central business district in the local government area of the City of Liverpool. Sphere’s is situated in a single site location over 14,650m² with integrated Production, Logistics, Research & Development, New Products Development, Laboratories, Quality Assurance, Quality Control, Technical & Regulatory, Sales & Marketing and Customer Support functions.